Here in Oklahoma, we are all about our football. You can tell when it’s football season because the competition is in full force and everyone cheers on their favorite teams. This is one of my favorite times of the year because football means tailgating and coming together as friends and family. Of course no football party would be complete without a delicious crave-worthy cocktail. My recommendation, A Bloody Mary. You can do so much with a Bloody Mary and there are so many different variations that each game you can make something different. Making the perfect Bloody Mary is your way of making a statement at your next football party. Add some of your own personal flair and impress your fellow football goers. And the perfect way to do this is by ditching the bacon and adding a side of delicious Johnsonville sausage to your Bloody Mary. To help you get started on creating the perfect Bloody Mary recipe I have two delicious recipes to share with you. In a shaker or pitcher, mix vodka, Bloody Mary mix or tomato juice, lemon juice, hot sauce, celery salt and chili powder. Pour into four glasses with ice. 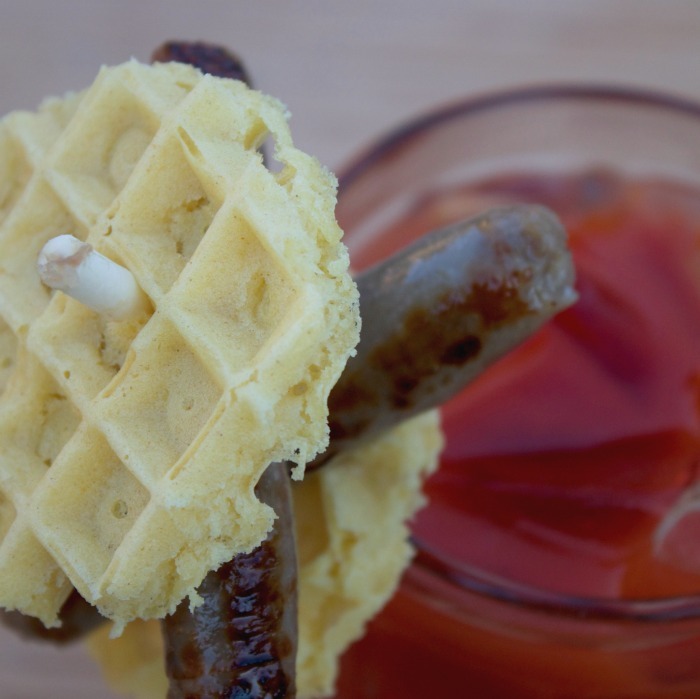 For the garnish, assemble each of the four skewers with two Johnsonville breakfast links and two mini waffles. Divide the maple syrup into four shot glasses. Place skewer into cocktail and serve with a side of syrup as dip for garnish. In a shaker or pitcher, mix vodka, Bloody Mary mix or tomato juice, adobo mix, A1 sauce, lemon juice and liquid smoke. 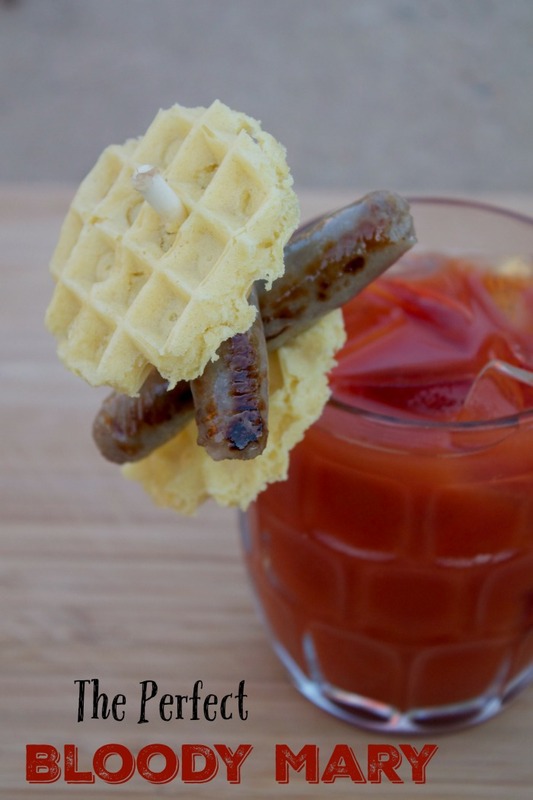 Place Texas Recipe Hot Smoked/Cooked Sausage into drink. For the garnish, assemble each of the four skewers with poblano pepper squares and cheese cubes. Place skewer into cocktail. 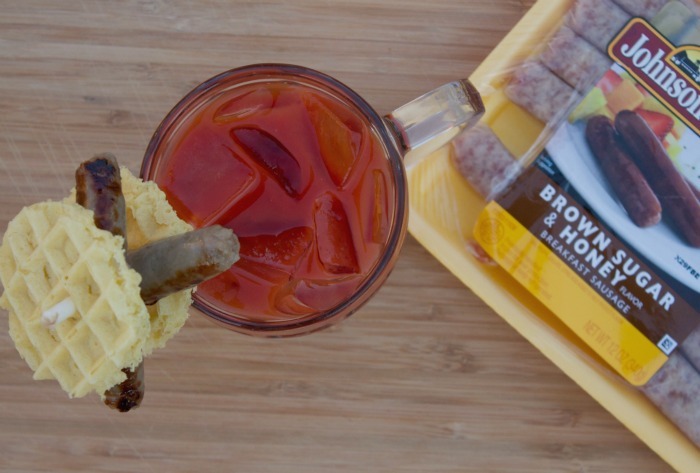 I personally love the added flavor of Johnsonville sausage to my Bloody Mary. It adds a kick that makes this a drink you won’t forget. I received compensation in exchange for this post. All opinions expressed are my own.